As 2017 turns to 2018, we take a look ahead at the most exciting yacht projects due for completion in the next 12 months. 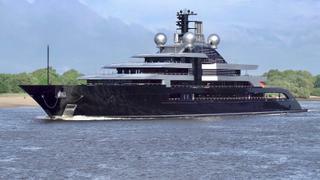 This Lürssen superyacht is so secret the project name is unknown and there’s uncertainty about its length — it was announced as “130 metres-plus” but it could be 146 metres, so it will definitely enter the top 20 largest yachts in the world in 2018, maybe even breaking into the top 10. One of the most closely watched yacht projects in the world, this enormous Lürssen is due for delivery in 2018. The superstructure has huge expanses of glass, including, on each side, a three-deck window that breaks the deck lines. 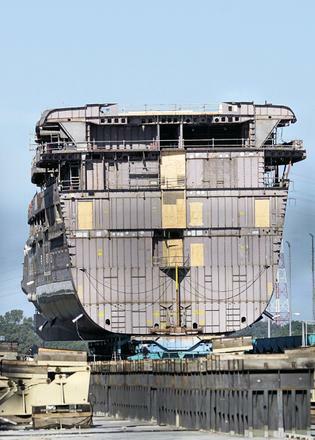 Project Thunder also has a helicopter hangar built into the substantial mast. Previously known as Project Palo Alto, TIS will have a 12 metre superyacht swimming pool, two helicopter pads, a huge owner’s deck and will sleep up to 22 guests. 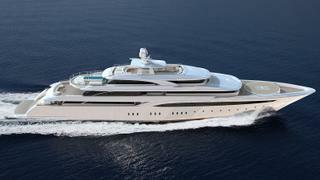 Project 1007 is the largest Feadship yacht to date and will overtake the 101.5 metre Symphony upon delivery. 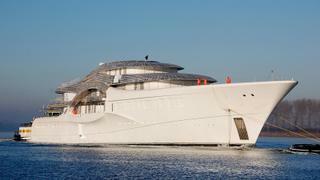 The styling comes from Michael Leach Design and has a dramatic architectural curve in the superstructure. 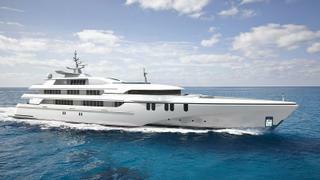 FB277 will be the largest yacht from Italian yard Benetti so far. 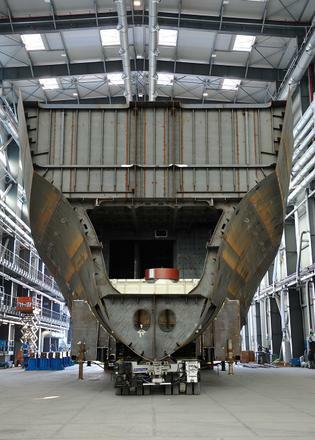 The steel hull was made in three sections and transported on separate barges to Benetti’s main yard for assembly. Details are scarce at this stage, but we know that it will be powered by two Rolls-Royce diesel-electric engines. 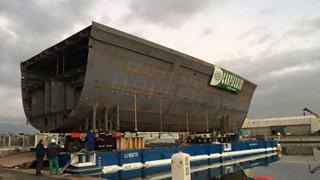 This is one of three 100 metre-plus boats in build at Benetti. The owner is understood to have made a major contribution to the exterior design, while the interior designer — Zaniz Interiors — is making its debut in the superyacht world. 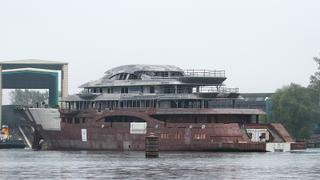 All we know about the ever so secret Feadship superyacht Project 814 (apart for the identities of the designers) is that it has an almost plumb bow and what looks like a sweetly curving stern. Building on its success of delivering three 80 metre plus yachts in 2017, Oceanco is due to deliver its fifth largest yacht to date in 2018. Project Y717 will have a helicopter landing pad, a pool and an internal lift. Pride Mega Yachts is a recent evolution of the Raffles Yacht shipyard (also known as Yantai Raffles). 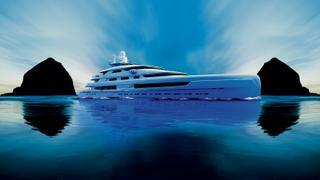 Illusion Plus will accommodate up to 14 guests and 27 crew in an Asian-inspired interior. 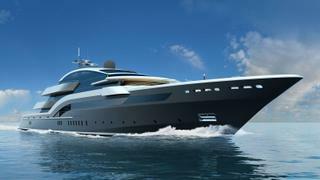 She will be powered by Rolls-Royce diesel-electric engines, which will give her a top speed of 20 knots. A fast explorer yacht with a military appearance, Silver Loft will have a top speed of 24 knots and accommodation for up to 16 guests and 21 crew centred around a spectacular 300 square metre upper saloon. Built by the same company that rebuilt the slightly smaller O’Mega in 2004, this project will be the sixth Greek-built yacht over 80 metres. 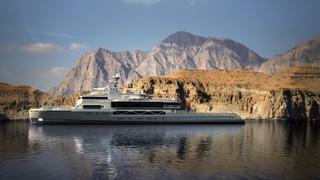 White Rabbit Golf will be the world’s biggest aluminium trimaran yacht. Her Singaporean owner has already taken delivery of the 51 metre catamaran support vessel Charley.